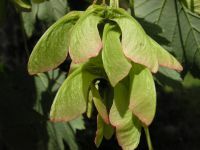 Distribution: Widely distributed throughout Washington; Alaska south to California, east to the Rockies and Nebraska. 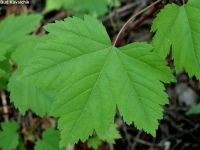 Habitat: Moist woods from sea level to mid-elevations in the mountains. 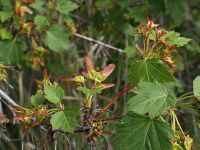 Shrub or small tree 1-10 m. tall; stems glabrous, the bark grayish to reddish-purple. 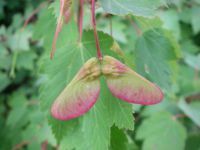 Leaves opposite, glabrous to sparsely glandular-puberulent, 2-14 cm. 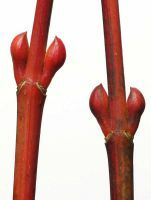 long and nearly as broad, cordate, palmately 3-5 lobed, coarsely serrate, paler on the lower surface. 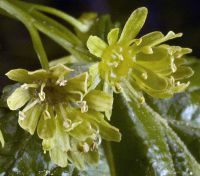 Plants monoecious to dioecious, staminate flowers with only rudiments of a pistil, but pistillate flowers with well-developed, though not always fertile, stamens; flowers about 8 mm. 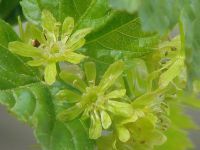 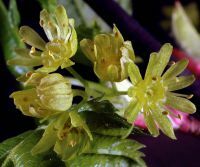 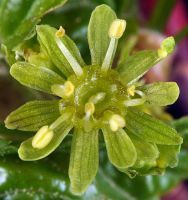 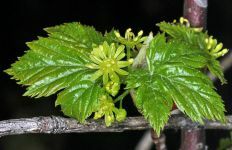 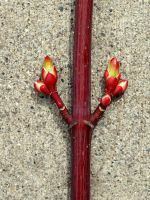 broad, in flat-topped clusters in the leaf axils; sepals usually 5; petals equal in size and number, or lacking; stamens usually 10, inserted on the outer edge of a lobed disk; styles and stigmas 2; ovary superior, 2-celled. 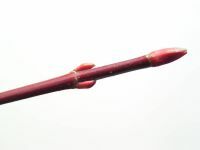 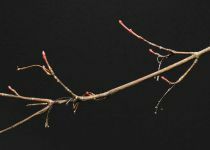 Samaras 2.5-3 cm. 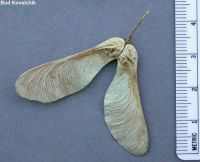 long, the wings not divergent. 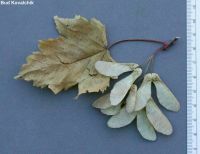 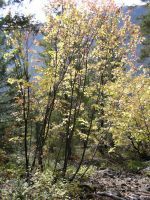 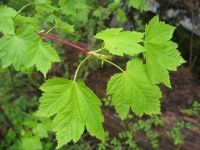 PNW Herbaria: Specimen records of Acer glabrum in the Consortium of Pacific Northwest Herbaria database. 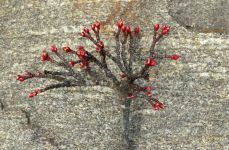 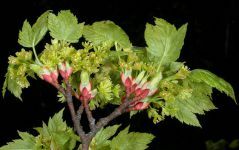 WA Flora Checklist: Acer glabrum checklist entry. 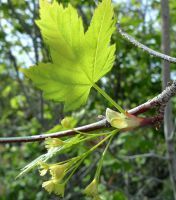 E-Flora BC: Acer glabrum atlas page. 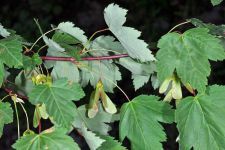 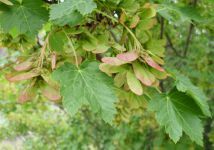 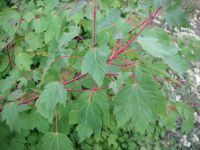 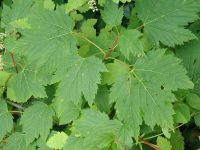 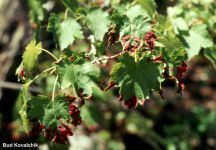 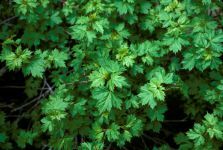 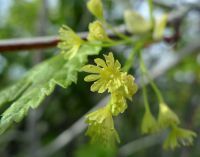 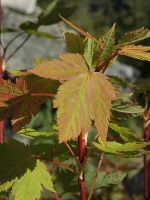 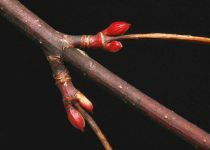 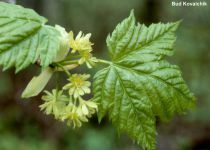 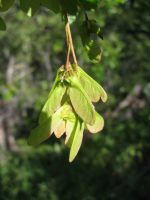 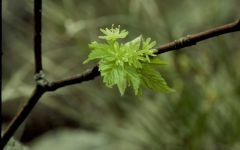 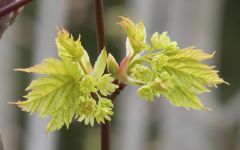 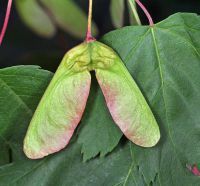 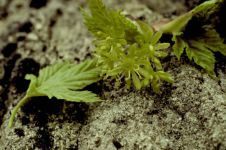 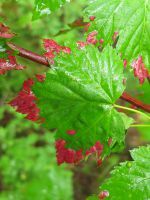 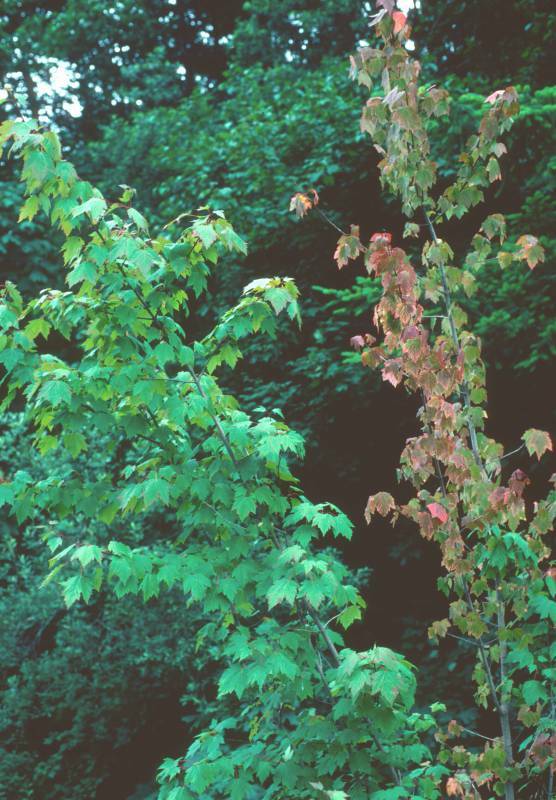 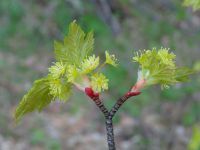 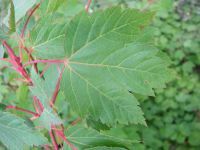 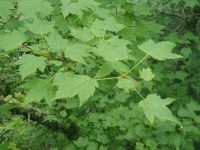 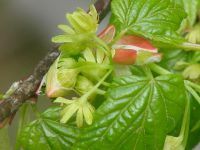 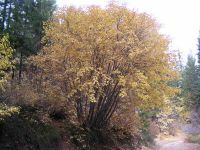 USDA Plants: Acer glabrum information.